There are two types of Life Insurance, Temporary (Term) and Permanent, but those two types can be structured to fit your needs in a vast variety of ways. ​A primary use of life insurance in a personal life insurance situation is to replace the future income that is lost when someone dies. 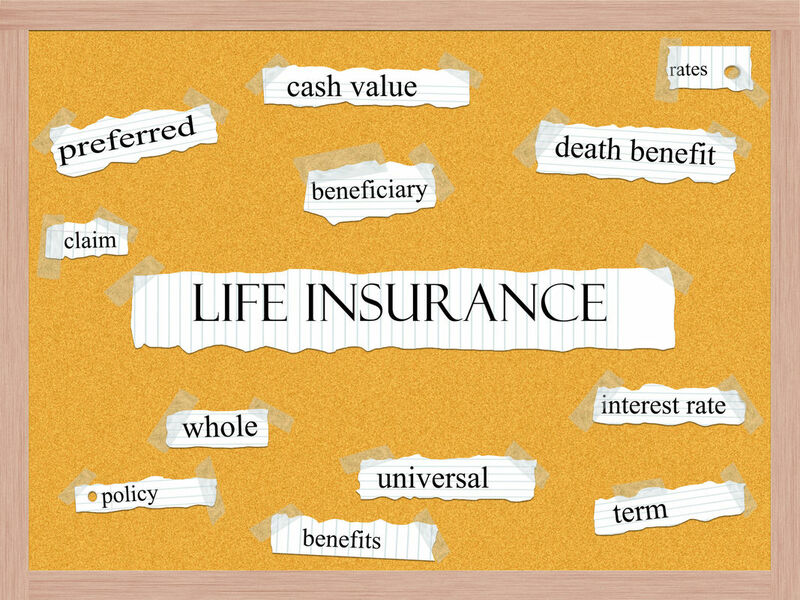 ​Life insurance is a unique tool to create wealth. It does so by assuring a desired amount of liquid capital is paid upon the insured’s death, even if that death occurs immediately after the coverage becomes effective. However, people may also buy life insurance on the lives of family members who do not work outside the home, such as a stay-at-home spouse who raises the children. The cost of a full time nanny is quite expensive. ​The insurance company pays a specified amount—called the policy’s face amount or death benefit—normally free of income tax. This amount is paid to the beneficiary upon the insured’s death while the policy is in force. ​Term Life Insurance is the simplest form of life insurance. It provides affordable protection for a specific period of time at a scheduled premium level. Premiums may increase at the end of the term. During the life of the term you have the option (in most cases) to convert to a permanent life insurance policy which builds cash value and may earn dividends. Whole Life Insurance has a lot of bang for the buck. Protect your family or business no matter what lies ahead. A permanent policy that remains in effect from the day you purchase it until you die, as long as premiums are paid. The cash value that accumulates in whole life policies can also be accessed during your lifetime through a policy loan, cash value withdrawals, or surrender proceeds for any number of reasons especially for Long-Term Care; these funds are usually referred to as living benefits. Many life insurance policies also provide accelerated death benefits that are payable to a terminally ill insured during his or her lifetime. Knowing your financial goals are unique. We don’t just offer a one-size-fits-all whole life policy. Offers the same insurance and protection as whole life, But allows you to select how long you pay the premiums (within limitations). In most cases people select to stop the premiums at retirement age. It is also designed to build the cash value at a much faster rate. Another option for using a life insurance policy to fund long-term care is a life insurance settlement. Settlements involve the sale of existing, in-force policies to a third party, providing a means to receive a value from the policy while the insured is living.